Bhubaneswar:3/11/18: Delhi-based journalist Abhijit Iyer-Mitra today submitted an affidavit before the House panel of Assembly over breach of privilege of the legislators. He was deposed before the panel at Legislative Assembly for the third time for the probe into allegation over insulting the House and legislators. 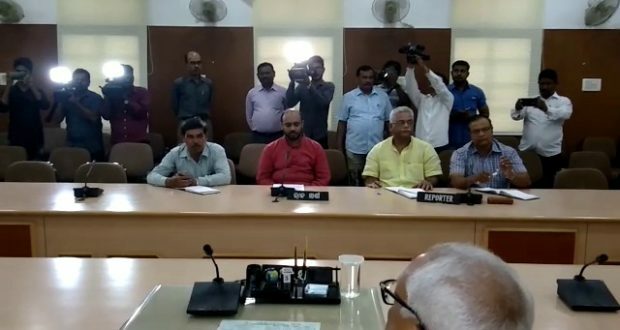 Further course of action will be decided by the panel headed by the Leader of Opposition (LoP) Narasingha Mishra after discussing with the committee members. The House panel had asked him to be present before it today after he failed to submit the affidavit yesterday. The journalist is currently lodged in Jharpada jail in connection with his alleged derogatory remarks against Odisha culture and Sun Temple in Konark. Previous: Sporting Superstars making Ekamra Sports Literature Festival made the event a grand success. Next: winter session of Odisha Assembly will commence from November 16.